With the new year starting today, I am taking a class titled One Little Word from Ali Edwards along with a fellow photographer friend. 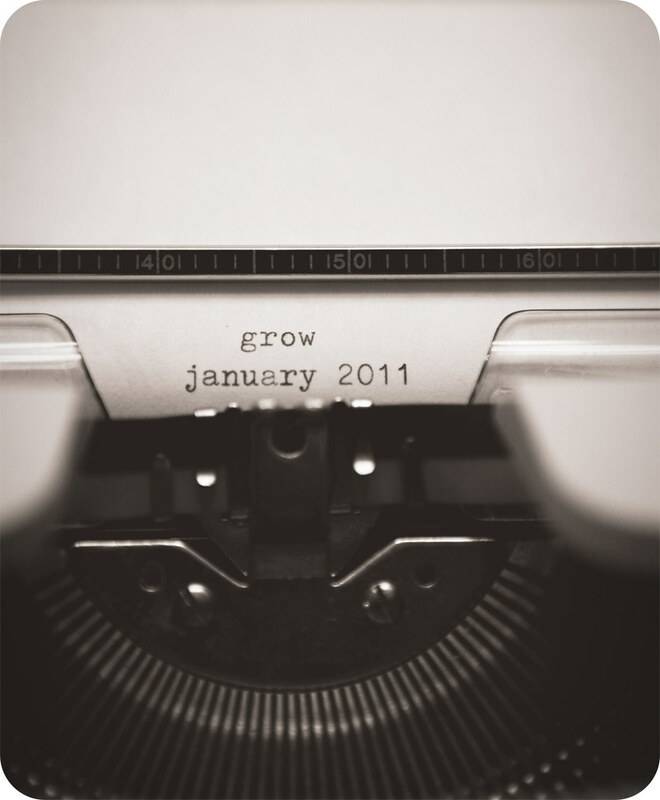 Our family word for 2011 is GROW. We chose this word for many reasons. We hope to grow spiritually, physically, mentally, professionally, & financially. This word has several personal meanings for me especially and I can’t wait to document where this word takes us this next year! As part of 2011, I also have several other classes I am taking related to documenting my life and those I love. This is part of my eleven things I don’t need in 2011 related to lost memories. These classes will also help relieve stress, boredom, and wasted time. I have also set a goal titled “Four People. Twelve Times.” I am hoping to take a family picture every month during the year. I am not planning on taking a professional picture each month. I will either have a neighbor take our photo, set the timer on my camera, or find another way to document our family photo. I don’t really care what we will be looking like or doing in these photos as long as I have one for each month. I also plan to start getting up early at least four days a week (since I work as a nurse 2 nights a week and will need sleep those two days) taking a break from Sunday. I plan to get up, run on my treadmill or do some exercise routine, get in the shower, read my scriptures, and start my day right before my kiddos are awake. I am also hoping to catch Trevin just as he wakes up so we can work on the potty training issue at our house. He tends to enjoy going “number two” right as he wakes up (not that you really care to know). My brain has been going a thousand miles these last few days as I have thought about the new year and what hopes I have for 2011. P.S. I am a huge fan of Ali Edwards. If you have never heard of her, I highly suggest you check out her work. She has been a huge inspiration of mine for a very long time.